We will deliver your goods very discreetly in a plain cardboard box or durable plastic bag depends on different products,with no indication of the real contents inside. We offer our free standard shipment for below countries and will choose the suitable shipping route depends on your location and ship your goods by major and trusted international carriers such as USPS,EMS,China Post and so on.If the weight of your order is more than 2 KGS,we may send the order in more than one parcel because weight limitation from some carriers.If your order cubage is more than 1 cubic meter,we will ship the goods by sea after your consent. The areas where we offer free standard shipment is including North America,Europe,UK,Japan,Australia,Russia,Ukraine,New Zealand,Brazil,Mexico,Saudi Arabia,Turkey,Israel,Korea,Singapore,Malaysia,Thailand,China,Hongkong,Taiwan.If you are not in the countries,it will be not problem and please check with our service team firstly if our standard shipment is available in your area,then we will come up with a solution for you. •We will pack and ship out your order within 2 business days after your payment is confirmed. •Normally it takes about 8-14 business days for the standard shipment to North America,Europe,UK,Japan,Australia,etc. •For those countries in remote area,it may take more than 15 business days for our standard shipment and definitely we will support to track the parcel and update the shipping information according to customer's requirement. 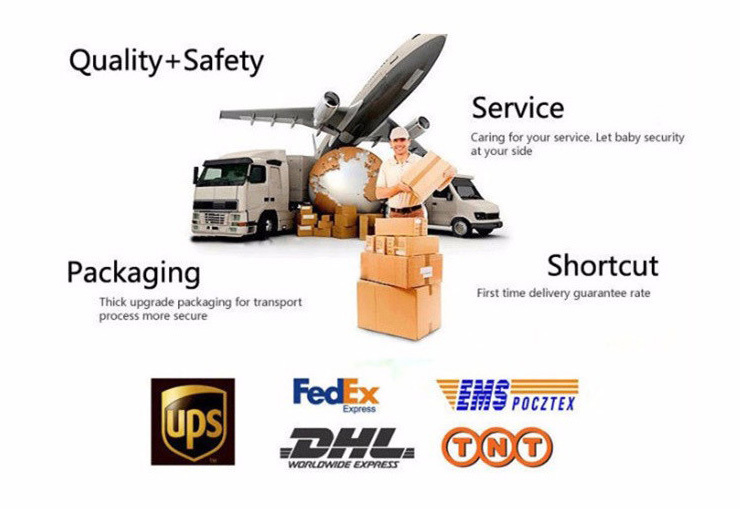 •If you need faster delivery,they have option to contact our service team to check the surcharge of this arrangement.You could also choose shipping companies such as DHL,FEDEX,UPS,TNT,ect. and pay for additional shipping cost for faster delivery within 7 business days.